Jenny coordinated all facets of logistics, including fulfilling animal welfare requirements for the high profile animal transfer that was moving Mila, and addressing the needs of the media, nationally and internationally. Jenny, with the assistance of a skilled and passionate team was critical to the success of rehoming Mila through her fund raising efforts. 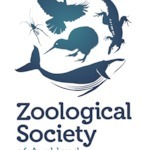 She was able to achieve successful animal relocations with assistance from many professionals including Auckland Zoo management and staff, Hamilton Zoo, MPI, ZAA, Franklin Zoo staff & contractors, trustees and volunteers and many many more amazing people. Jenny will tell the story of the Mila’s move from New Zealand to live at San Diego Zoo with 5 other aging elephant cows, including her transportation, quarantine and introductions to live with other elephants for the first time in 35 years. Jenny Chung has been the Administration Manager at Franklin Zoo and Wildlife Sanctuary since March 2009 as well as a trustee of the Franklin Zoo Charitable Trust Incorporated. She is the sister of Dr Helen Schofield who passed away after an accident with Mila, the African ex circus elephant, in April 2012. Jenny moved back to NZ from Brisbane to help Helen with administrative and accounting duties. Her background is in the corporate world of advertising sales. Jenny has invaluable experience after she championed the efforts to finalise Mila’s rehabilitation and transport to San Diego Zoo in November 2013, including raising over $2.5M to care for and relocate 420 animals and birds from the Franklin Zoo.